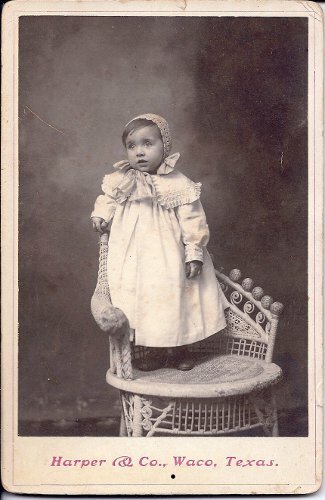 May Belle Bartlett, courtesy of Kathy Murphy, who rescued this cabinet card from a sale bin in an antique store. Other Names*: May Bartlett, May Belle Bartlett Youngblood, May Bartlett Youngblood, May Belle Youngblood, May Youngblood. [S333] Ellis Arthur Davis, ed., The Historical Encyclopedia of Texas, rev. ed. (n.p. : Texas Historical Society, n.d. [CA. 1936]), vol. II, p. 687 (giving her name as Maybelle and naming Jesse C. Bartlett as her father). [S137] Index to Texas Delayed Probate Birth Records (Austin, Tex. : Tex. Dept. of Health, Bur. of Vital Statistics), sec. 2, vol. 1, p. 332, file 1129970. [S11] Index to Texas Death Records (Austin, Tex. : Tex. Dept. of Health, Bur. of Vital Statistics), typescript, 1984 (microfiche), p. 2178, file 36837-84. [S312] Social Security Death Index, online at http://tinyurl.com/AncestrySSDI, viewed on 26 Feb 1998 (stating that she died in Apr 1984; not naming the place of death but stating that she lived in Wichita Falls, Texas when she died). Wade Hampton Bartlett's tombstone, Prairie Lea Cemetery, Brenham, Tex., courtesy of Amy Smith and Robert Reamy. • To view his memorial on Find A Grave, click here. [S312] Social Security Death Index, online at http://tinyurl.com/AncestrySSDI, viewed on 25 Feb 1998 (not naming the place of death but stating that he lived in Wichita Falls, Texas when he died). [S1559] Texas Death Index, 1964-1998, online at https://www.familysearch.org, record for Wade Hampton Bartlett, viewed on 25 Jan 2019. 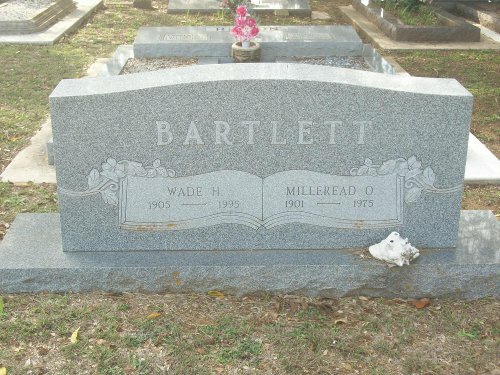 [S961] Find A Grave, online at http://www.findagrave.com, memorial for Wade H. Bartlett, memorial no. 81084034. Milleread Olson Bartlett's tombstone, Prairie Lea Cemetery, Brenham, Tex., courtesy of Amy Smith and Robert Reamy. [S11] Index to Texas Death Records (Austin, Tex. : Tex. Dept. of Health, Bur. of Vital Statistics), typescript, 1964-1988 (microfiche), p. 2337, file 95626-75. [S312] Social Security Death Index, online at http://tinyurl.com/AncestrySSDI, viewed on 26 Feb 1998 (stating that she died in Dec 1975; not naming the place of death but stating that she lived in Brenham, Texas when she died). [S961] Find A Grave, online at http://www.findagrave.com, memorial for Milleread Olson Bartlett, memorial no. 67623013. 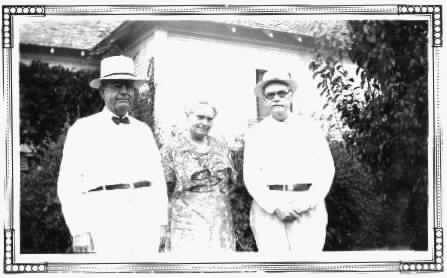 Thomas Anthony Bartlett on left, Hettie Bartlett Drummond in center, probably John Wright Bartlett on right, at house in Malakoff, Tex. Marriage*: He married Willie Alice Parish in 1895. Note*: He was a ginner and farmer. [S137] Index to Texas Delayed Probate Birth Records (Austin, Tex. : Tex. Dept. of Health, Bur. of Vital Statistics), vol. 2, p. 963, file 402183. [S413] "Bardwell Cemetery," in Searchers and Researchers of Ellis County [Tex. ], vol. 14, issue 1 (1991), p. 39, at p. 43 (giving only the year and not naming the place). [S354] Ellis County, Texas, Cemetery Records, Vol. 2 (Waxahachie, Tex. : Ellis County Gen. Soc'y, 1982), p. 7 (giving only the year and not naming the place). [S961] Find A Grave, online at http://www.findagrave.com, memorial for John Wright Bartlett, memorial no. 80181435, viewed on 3 Jan 2013 (giving the date but not the place). [S11] Index to Texas Death Records (Austin, Tex. : Tex. Dept. of Health, Bur. of Vital Statistics), typescript, 1960, vol. 1, p. 67, file 29049. [S413] "Bardwell Cemetery," above, at p. 43. [S354] Ellis County, Texas, Cemetery Records, Vol. 2, above, p. 7. [S961] Find A Grave, online, above, memorial for John Wright Bartlett, memorial no. 80181435, viewed on 3 Jan 2013 (identifying the cemetery as Elm Branch Cemetery). [S1135] The Malakoff News, Malakoff, Tex., 10 Apr 1964, p. 3 ("Thirty Years Ago"). [S961] Find A Grave, online, above, memorial for John Calloway Bartlett, memorial no. 32625289, viewed on 3 Jan 2013 (naming John Wright Bartlett as his father). Marriage*: She married John Wright Bartlett, son of Thomas Smith Bartlett and Sally Edmundson, in 1895. Other Names*: Willie Alice Parrish, Willie Parish, Willie Alice Parish Bartlett, Willie Parish Bartlett, Willie Alice Bartlett, Willie Bartlett. Note*: Her surname may have been Parrish. [S413] "Bardwell Cemetery," in Searchers and Researchers of Ellis County [Tex. ], vol. 14, issue 1 (1991), p. 39, at p. 43 (giving the year but no other information). [S354] Ellis County, Texas, Cemetery Records, Vol. 2 (Waxahachie, Tex. : Ellis County Gen. Soc'y, 1982), p. 7 (giving the year but no other information). [S961] Find A Grave, online at http://www.findagrave.com, memorial for Willie Alice Bartlett, memorial no. 80181540, viewed on 3 Jan 2013. [S11] Index to Texas Death Records (Austin, Tex. : Tex. Dept. of Health, Bur. of Vital Statistics), typescript, 1949, vol. 1, file 52999. [S413] "Bardwell Cemetery," above, at p. 43 (giving only the year and not naming the place). [S354] Ellis County, Texas, Cemetery Records, Vol. 2, above, p. 7 (giving only the year and not naming the place). [S961] Find A Grave, online, above, memorial for Willie Alice Bartlett, memorial no. 80181540, viewed on 3 Jan 2013 (giving the date but not the place). [S961] Find A Grave, online, above, memorial for Willie Alice Bartlett, memorial no. 80181540, viewed on 3 Jan 2013 (identifying the cemetery as Elm Branch Cemetery). [S961] Find A Grave, online, above, memorial for John Calloway Bartlett, memorial no. 32625289, viewed on 3 Jan 2013 (naming Willie Alice Bartlett as his mother). [S312] Social Security Death Index, online at http://tinyurl.com/AncestrySSDI, viewed on 10 May 1998. [S413] "Bardwell Cemetery," in Searchers and Researchers of Ellis County [Tex. ], vol. 14, issue 1 (1991), p. 39, at p. 43 (giving only the year). Other Names*: Jack Callaway Bartlett, John Calloway Bartlett, Jack Calloway Bartlett, John Bartlett, Jack Bartlett. [S961] Find A Grave, online at http://www.findagrave.com, memorial for John Calloway Bartlett, memorial no. 32625289, viewed on 3 Jan 2013 (naming John Wright Bartlett as his father). [S277] Ellis County, Texas, Cemetery Records, vol. 9 (Waxahachie, Tex. : Ellis County Gen. Soc'y, 1986), p. 14 (giving the year but not the place or other information). [S961] Find A Grave, online, above, memorial for John Calloway Bartlett, memorial no. 32625289, viewed on 3 Jan 2013. [S961] Find A Grave, online, above, memorial for Doris Ethelbert Mosshart Bartlett, memorial no. 65544093, viewed on 3 Jan 2013. [S11] Index to Texas Death Records (Austin, Tex. : Tex. Dept. of Health, Bur. of Vital Statistics), typescript, 1966, vol. 1, p. 79, file 44720 (giving his name as Jack Calloway Bartlett; giving the date and county). [S277] Ellis County, Texas, Cemetery Records, vol. 9, above, p. 14 (giving his name as Jack Calloway Bartlett). Other Names*: Doris Mosshart, Doris Mosshart Bartlett, Doris Ethelbert Mosshart Bartlett, Doris Ethelbert Bartlett. [S652] Unidentified 1938 newspaper clipping (obituary of Charles Henry Mosshart), (naming Mrs. Jack Bartlett of Ennis, Tex. 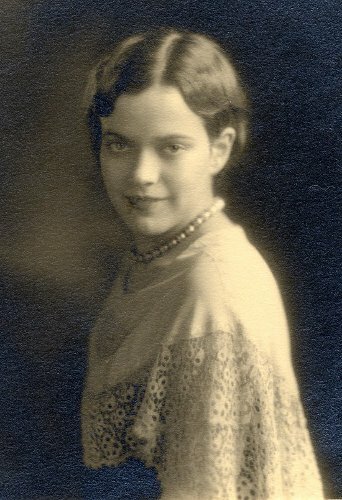 as a surviving child of Charles Henry Mosshart). Jimmie Sue Robinson provided a copy of the clipping to Roger Bartlett on 31 Jul 2001. [S277] Ellis County, Texas, Cemetery Records, vol. 9 (Waxahachie, Tex. : Ellis County Gen. Soc'y, 1986), p. 14 (giving only the year but not the place or other information). [S961] Find A Grave, online at http://www.findagrave.com, memorial for Doris Ethelbert Mosshart Bartlett, memorial no. 65544093, viewed on 3 Jan 2013. [S11] Index to Texas Death Records (Austin, Tex. : Tex. Dept. of Health, Bur. of Vital Statistics), typescript, 1972, vol. 1, p. 87, file 73259. [S277] Ellis County, Texas, Cemetery Records, vol. 9, above, p. 14 (giving only the year and not naming the place). [S312] Social Security Death Index, online at http://tinyurl.com/AncestrySSDI, viewed on 26 Mar 1998 (stating that she died in Oct 1972; not naming the place of death but stating that she lived in Dallas, Texas when she died). [S67] The Dallas Morning News, Dallas, Tex., 6 Oct 1972, sec. D, p. 5 (obituary of Mrs. Doris Bartlett). [S277] Ellis County, Texas, Cemetery Records, vol. 9, above, p. 14 (not giving the date). [S413] "Bardwell Cemetery," in Searchers and Researchers of Ellis County [Tex. ], vol. 14, issue 1 (1991), p. 39, at p. 43. [S354] Ellis County, Texas, Cemetery Records, Vol. 2 (Waxahachie, Tex. : Ellis County Gen. Soc'y, 1982), p. 7. T. A. Bartlett, courtesy of Michael Pickel. • A biography of Thomas Anthony Bartlett and his wife, Willie E. Broyles, is here. • More information about him is on his page at Michael Pickel's "greenpickup" web site. • A 2004 newspaper article about the Bartlett home in Malakoff, Texas is here, and several photographs of the property are on the Facebook page devoted to the Bartlett house. [S137] Index to Texas Delayed Probate Birth Records (Austin, Tex. : Tex. Dept. of Health, Bur. of Vital Statistics), vol. 2, p. 965, file 602955. [S226] Carol Ann Selander, electronic mail to Roger Bartlett, 24 Feb 1997, attributing information to unidentified article on Thomas and Willie (Broyles) Bartlett by Theretta Bartlett Pickel. [S487] Athens (Tex.) City Cemetery, online at http://tinyurl.com/OldAthens, viewed on 6 Jan 2007 (giving the date but stating that he was born in Rice, Texas). [S43] Marriage Records, Navarro County, Tex., vol. 10, p. 297 (not naming the town and stating that they were married by Sam C. Vaughan, "traveling of M. E. Ch. South"). [S348] Michael Pickel, computer files sent to Roger Bartlett, 4 Jan 1998. [S487] Athens (Tex.) City Cemetery, online at http://tinyurl.com/OldAthens, viewed on 6 Jan 2007 (not giving the date or place). [S11] Index to Texas Death Records (Austin, Tex. : Tex. Dept. of Health, Bur. of Vital Statistics), typescript, 1951, vol. 1, file 26047 (giving the date and county). [S226] Carol Ann Selander, 24 Feb 1997 electronic mail, above, (giving 8 Oct 1897 as their marriage date). [S348] Michael Pickel, computer files sent to Roger Bartlett, 4 Jan 1998, (stating that he died in Malakoff, Texas). [S226] Carol Ann Selander, 24 Feb 1997 electronic mail, above, (naming Thomas Anthony Bartlett as his father). [S348] Michael Pickel, computer files sent to Roger Bartlett, 4 Jan 1998, (naming Thomas Anthony Bartlett as his father). [S226] Carol Ann Selander, 24 Feb 1997 electronic mail, above, (naming Thomas Anthony Bartlett as her father). [S348] Michael Pickel, computer files sent to Roger Bartlett, 4 Jan 1998, (naming Thomas Anthony Bartlett as her father). Willie Broyles Bartlett and T. A. Bartlett, 1947, courtesy of Michael Pickel. • A biography of Willie E. Broyles and her husband, T. A. Bartlett, is here. • More information about her is on her page at Michael Pickel's "greenpickup" web site. [S348] Michael Pickel, computer files sent to Roger Bartlett, 4 Jan 1998, (naming Erasmus R. Broyles as her father). [S348] Michael Pickel, computer files sent to Roger Bartlett, 4 Jan 1998, (naming Artimissa Ingram as her mother). [S11] Index to Texas Death Records (Austin, Tex. : Tex. Dept. of Health, Bur. of Vital Statistics), typescript, 1946-55, vol. 2, p. 574, file 18342. [S226] Carol Ann Selander, 24 Feb 1997 electronic mail, above, (naming Willie E. Broyles as his mother). [S348] Michael Pickel, computer files sent to Roger Bartlett, 4 Jan 1998, (naming Willie Erasmus Broyles as his mother). [S226] Carol Ann Selander, 24 Feb 1997 electronic mail, above, (naming Willie E. Broyles as her mother). [S348] Michael Pickel, computer files sent to Roger Bartlett, 4 Jan 1998, (naming Willie Erasmus Broyles as her mother). Therral Anthony Bartlett, courtesy of Michael Pickel. [S226] Carol Ann Selander, electronic mail to Roger Bartlett, 24 Feb 1997, attributing information to unidentified article on Thomas and Willie (Broyles) Bartlett by Theretta Bartlett Pickel, (naming Thomas Anthony Bartlett as his father). [S137] Index to Texas Delayed Probate Birth Records (Austin, Tex. : Tex. Dept. of Health, Bur. of Vital Statistics), vol. 2, p. 965, file 295093. [S226] Carol Ann Selander, 24 Feb 1997 electronic mail, above. [S348] Michael Pickel, computer files sent to Roger Bartlett, 4 Jan 1998, (spelling his first name as Therell). [S226] Carol Ann Selander, 24 Feb 1997 electronic mail, above, (not giving the date). [S11] Index to Texas Death Records (Austin, Tex. : Tex. Dept. of Health, Bur. of Vital Statistics), typescript, 1964-1988 (microfiche), p. 2339, file 6352-78 (giving birth and death dates). [S226] Carol Ann Selander, 24 Feb 1997 electronic mail, above, (giving only the month and year and not naming the place). [S312] Social Security Death Index, online at http://tinyurl.com/AncestrySSDI, viewed on 25 Feb 1998 (giving his name as T. Bartlett; stating that he died in Feb 1978; not naming the place of death but stating that he lived in San Antonio, Texas when he died). [S348] Michael Pickel, computer files sent to Roger Bartlett, 4 Jan 1998, (naming Therell Anthony Bartlett as his father). [S312] Social Security Death Index, online at http://tinyurl.com/AncestrySSDI, viewed on 11 Mar 1998 (giving only the date). [S11] Index to Texas Death Records (Austin, Tex. : Tex. Dept. of Health, Bur. of Vital Statistics), typescript, 1986 (microfiche), p. 114, file 110-86 (not naming the town). [S312] Social Security Death Index, online at http://tinyurl.com/AncestrySSDI, viewed on 11 Mar 1998 (stating that she died in Jan 1986; not naming the place of death but stating that she lived in Houston, Texas when she died). [S348] Michael Pickel, computer files sent to Roger Bartlett, 4 Jan 1998, (naming Thelma Lillian Garrett as his mother). Theora Bartlett Guinn's tombstone, Athens City Cemetery, Athens, Tex., courtesy of Michael Pickel. Other Names*: Theora Bartlett, Theora Willie Bartlett Guinn, Theora Willie Guinn, Theora Bartlett Guinn, Theora Guinn. [S226] Carol Ann Selander, electronic mail to Roger Bartlett, 24 Feb 1997, attributing information to unidentified article on Thomas and Willie (Broyles) Bartlett by Theretta Bartlett Pickel, (naming Thomas Anthony Bartlett as her father). 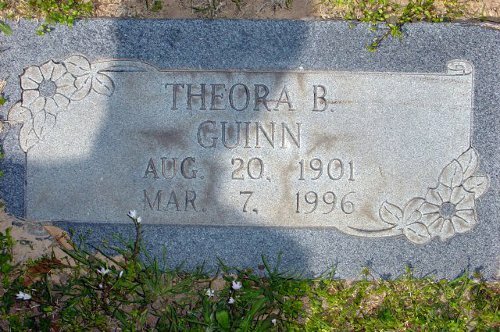 [S961] Find A Grave, online at http://www.findagrave.com, memorial for Theora Willie Bartlett Guinn, memorial no. 19459379, viewed on 31 Dec 2012. [S226] Carol Ann Selander, 24 Feb 1997 electronic mail, above, (not giving the date or place). [S348] Michael Pickel, computer files sent to Roger Bartlett, 4 Jan 1998, (giving his name as John Ray Guinn). [S11] Index to Texas Death Records (Austin, Tex. : Tex. Dept. of Health, Bur. of Vital Statistics), typescript, 1996 (microfiche), p. 915, file 20125 (giving the date and county). (identifying the cemetery as Athens Cemetery). [S348] Michael Pickel, computer files sent to Roger Bartlett, 4 Jan 1998, (naming Theora Willie Bartlett as his mother). John Ray Guinn, courtesy of fluttergirl.com. [S961] Find A Grave, online at http://www.findagrave.com, memorial for John Ray Guinn, memorial no. 19837681, viewed on 31 Dec 2012. [S11] Index to Texas Death Records (Austin, Tex. : Tex. Dept. of Health, Bur. of Vital Statistics), typescript, 1956, vol. 1, p. 490, file 24685. [S348] Michael Pickel, computer files sent to Roger Bartlett, 4 Jan 1998, (not giving the day of the month). [S961] Find A Grave, online, above, memorial for John Ray Guinn, memorial no. 19837681, viewed on 31 Dec 2012 (identifying the cemetery as Athens Cemetery). [S348] Michael Pickel, computer files sent to Roger Bartlett, 4 Jan 1998, (naming John Ray Guinn as his father). (Left to right) Boyd Sharp, Willie Broyles Bartlett, and Tess Bartlett Sharp, courtesy of Britt Thompson. Other Names*: Theressa Artie Tess Bartlett Sharp, Theressa Artie Bartlett Sharp, Tess Bartlett Sharp, Theressa Bartlett Sharp, Theressa Sharp, Tess Sharp, Therressa Artie Tess Bartlett Sharp, Therressa Artie Bartlett Sharp, Therressa Bartlett Sharp, Therressa Sharp. [S137] Index to Texas Delayed Probate Birth Records (Austin, Tex. : Tex. Dept. of Health, Bur. of Vital Statistics), vol. 2, p. 965, file 159328 (giving her name as Therressa). [S312] Social Security Death Index, online at http://tinyurl.com/AncestrySSDI, viewed on 25 Feb 1998 (spelling her first name as Therressa and giving only the date). [S961] Find A Grave, online at http://www.findagrave.com, memorial for Therressa Artie Bartlett Sharp, memorial no. 3049200, viewed on 25 May 2015 (giving the date but not the place). [S961] Find A Grave, online, above, memorial for Therressa Artie Bartlett Sharp, memorial no. 3049200, viewed on 25 May 2015 (not giving the date or place). [S961] Find A Grave, online, above, memorial for Boyd Felix Sharp, memorial no. 3049191, viewed on 25 May 2015 (not giving the date or place). [S11] Index to Texas Death Records (Austin, Tex. : Tex. Dept. of Health, Bur. of Vital Statistics), typescript, 1989 (microfiche), p. 1859, file 108856 (giving her name as Therressa [sic] Artie Sharp and not naming the town). [S312] Social Security Death Index, online at http://tinyurl.com/AncestrySSDI, viewed on 25 Feb 1998 (spelling her first name as Therressa; not naming the place of death but stating that she lived in Belton, Texas when she died). [S961] Find A Grave, online, above, memorial for Therressa Artie Bartlett Sharp, memorial no. 3049200, viewed on 25 May 2015 (not giving the date). [S348] Michael Pickel, computer files sent to Roger Bartlett, 4 Jan 1998, (naming Theressa Artie Bartlett as her mother). [S961] Find A Grave, online, above, memorial for Therma 'Sally' Sharp Arnold, memorial no. 109506874, viewed on 25 May 2015 (naming Therressa Artie Bartlett as her mother). [S961] Find A Grave, online, above, memorial for Therressa Artie Bartlett Sharp, memorial no. 3049200, viewed on 25 May 2015 (naming Therressa Artie Bartlett as her mother). [S961] Find A Grave, online, above, memorial for Thomas Boyd 'Tommy' Sharp, memorial no. 43309600, viewed on 25 May 2015 (naming Therressa Artie Bartlett as his mother). [S961] Find A Grave, online, above, memorial for Therressa Artie Bartlett Sharp, memorial no. 3049200, viewed on 25 May 2015 (naming Therressa Artie Bartlett as his mother). [S312] Social Security Death Index, online at http://tinyurl.com/AncestrySSDI, viewed on 2 Apr 1998 (giving only the date). [S961] Find A Grave, online at http://www.findagrave.com, memorial for Boyd Felix Sharp, memorial no. 3049191, viewed on 25 May 2015 (giving the date but not the place). [S11] Index to Texas Death Records (Austin, Tex. : Tex. Dept. of Health, Bur. of Vital Statistics), typescript, 1979 (microfiche), p. 1581, file 13933-79 (not naming the town). [S226] Carol Ann Selander, 24 Feb 1997 electronic mail, above, (naming the place but stating that his death date was 4 Mar 1979). [S312] Social Security Death Index, online at http://tinyurl.com/AncestrySSDI, viewed on 2 Apr 1998 (giving only the month and year and not naming the place). [S961] Find A Grave, online, above, memorial for Boyd Felix Sharp, memorial no. 3049191, viewed on 25 May 2015. [S961] Find A Grave, online, above, memorial for Therma 'Sally' Sharp Arnold, memorial no. 109506874, viewed on 25 May 2015 (naming Boyd Felix Sharp as her father). [S961] Find A Grave, online, above, memorial for Boyd Felix Sharp, memorial no. 3049191, viewed on 25 May 2015 (naming Boyd Felix Sharp as her father). [S961] Find A Grave, online, above, memorial for Thomas Boyd 'Tommy' Sharp, memorial no. 43309600, viewed on 25 May 2015 (naming Boyd Felix Sharp as his father). [S961] Find A Grave, online, above, memorial for Boyd Felix Sharp, memorial no. 3049191, viewed on 25 May 2015 (naming Boyd Felix Sharp as his father). 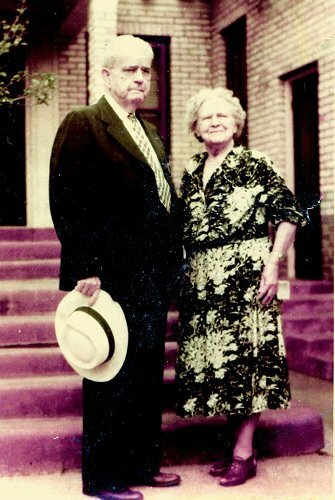 Theretta L. Bartlett Pickel and Robert H. Pickel, Jr., courtesy of Michael Pickel. [S137] Index to Texas Delayed Probate Birth Records (Austin, Tex. : Tex. Dept. of Health, Bur. of Vital Statistics), vol. 2, p. 965, file 159329. [S343] Michael Pickel, electronic mail to Roger Bartlett, 26 Dec 1997. [S11] Index to Texas Death Records (Austin, Tex. : Tex. Dept. of Health, Bur. of Vital Statistics), typescript, 1995 (microfiche), p. 1767, file 64994. [S312] Social Security Death Index, online at http://tinyurl.com/AncestrySSDI, viewed on 25 Feb 1998 (stating that she died in Jul 1995; not naming the place of death but stating that she lived in Palestine, Texas when she died). [S343] Michael Pickel, electronic mail to Roger Bartlett, 26 Dec 1997, (naming Theretta Lena Bartlett as his mother). 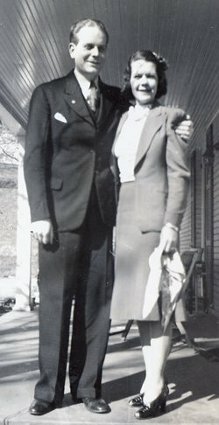 Robert H. Pickel, Jr. and Theretta L. Bartlett Pickel, courtesy of Michael Pickel. • Michael Pickel's web site features Robert Hugh Pickel Jr.'s ancestors. [S312] Social Security Death Index, online at http://tinyurl.com/AncestrySSDI, viewed on 31 Mar 1998 (giving only the date). [S11] Index to Texas Death Records (Austin, Tex. : Tex. Dept. of Health, Bur. of Vital Statistics), typescript, 1990 (microfiche), p. 1605, file 101692 (not naming the town). [S343] Michael Pickel, electronic mail to Roger Bartlett, 26 Dec 1997, (naming Robert Hugh Pickel Jr. as his father). Therma Missie Bartlett, courtesy of Michael Pickel. [S137] Index to Texas Delayed Probate Birth Records (Austin, Tex. : Tex. Dept. of Health, Bur. of Vital Statistics), vol. 2, p. 965, file 159330. [S11] Index to Texas Death Records (Austin, Tex. : Tex. Dept. of Health, Bur. of Vital Statistics), typescript, 1987 (microfiche), p. 1511, file 43009-87. [S312] Social Security Death Index, online at http://tinyurl.com/AncestrySSDI, viewed on 25 Feb 1998 (stating that she died in May 1987; not naming the place of death but stating that she lived in Athens, Texas when she died). Roy Donald Parnell, ca. 1942, courtesy of Michael Pickel. Death*: He died on 13 November 2003 at age 91. Burial*: Interment was in Athens City Cemetery, Athens, Henderson County, Texas. [S348] Michael Pickel, computer files sent to Roger Bartlett, 4 Jan 1998, (naming Ernest Parnell as his father). [S348] Michael Pickel, computer files sent to Roger Bartlett, 4 Jan 1998, (naming Sally _____ as his mother). [S137] Index to Texas Delayed Probate Birth Records (Austin, Tex. : Tex. Dept. of Health, Bur. of Vital Statistics), vol. 27, p. 13413, file 688560 (not naming the town). [S226] Carol Ann Selander, electronic mail to Roger Bartlett, 24 Feb 1997, attributing information to unidentified article on Thomas and Willie (Broyles) Bartlett by Theretta Bartlett Pickel, (naming the place but stating that his birth date was 1 Nov 1914). Hettie Bartlett Drummond, 1955, courtesy of Garrett B. Drummond, Jr.
• Their grandson's recollections about Hettie and James Drummond are here. [S67] The Dallas Morning News, Dallas, Tex., 6 Nov 1922, sec. 1, p. 6 (obituary of Thomas S. Bartlett) (naming Thomas S. Bartlett as her father). [S137] Index to Texas Delayed Probate Birth Records (Austin, Tex. : Tex. Dept. of Health, Bur. of Vital Statistics), vol. 2, p. 963, file 602954. [S189] Navarro County Cemetery Records, vol. 9 (Corsicana, Tex. : The Navarro County Gen. Soc'y, 1989), p. 155 (giving only the date). [S43] Marriage Records, Navarro County, Tex., vol. 11, p. 355. [S1207] Corsicana Daily Sun, Corsicana, Tex., online archive at http://corsicana.newspaperarchive.com, 30 Jul 1942, p. 5, col. 5 (obituary of James E. Drummond) (not giving the date; naming Mrs. Hettie Bartlett Drummond as his surviving wife). [S11] Index to Texas Death Records (Austin, Tex. : Tex. Dept. of Health, Bur. of Vital Statistics), typescript, 1969, vol. 1, p. 400, file 8350 (giving her first name as Hattie). [S189] Navarro County Cemetery Records, vol. 9, above, p. 155. [S1207] Corsicana Daily Sun, Corsicana, Tex., online archive, above, 30 Jul 1942, p. 5, col. 5 (obituary of James E. Drummond) (giving her name as Hettie Bartlett Drummond). [S779] "Nearly One Thousand Have Graduated from Corsicana High School Since 1884," Corsicana Daily Sun, Corsicana, Tex., 10 May 1923, as reprinted in Navarro Leaves & Branches, vol. XXV, no. III (Aug 2002), p. 4 (spelling her name as Hattie). [S961] Find A Grave, online at http://www.findagrave.com, memorial for Thomas Edward Drummond, memorial no. 21950806, viewed on 4 Oct 2015 (naming Hettie Lee Bartlett as his mother). 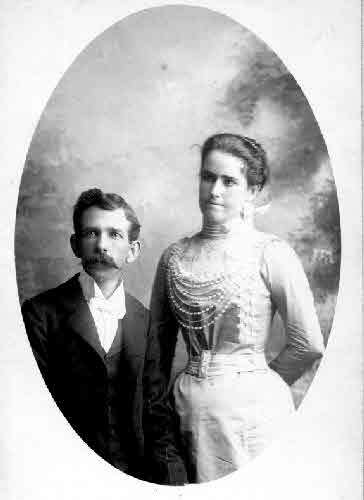 James Drummond and Hettie Bartlett at the time of their wedding in 1899, courtesy of Garrett B. Drummond, Jr. Birth*: He was born on 4 November 1869 in Simpson County, Mississippi. Funeral services for James E. Drummond, 73, former Corsicanan, who died at his home in Malakoff Tuesday night after an extended illness, were held Thursday morning at 10 o’clock from the Sutherland-McCammon Chapel. Burial was in Oakwood cemetery. The rites were conducted by Rev. Joe Shaver, pastor of the Malakoff Baptist church. 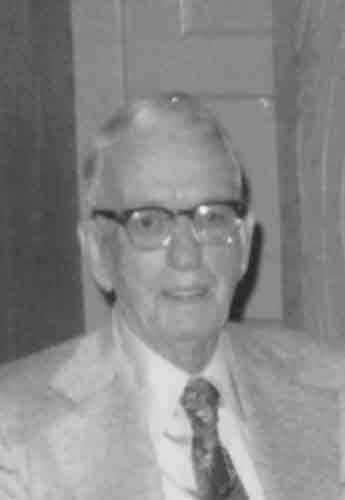 Surviving are his wife, Mrs. Hettie Bartlett Drummond, Malakoff; two sons, Thomas Drummond, Waco, and Col. Garrett B. Drummond, U. S. Army, Ft. Sill, Okla., and several grandchildren. • Their grandson's recollections about James and Hettie Drummond are here. [S1214] Garrett B. Drummond, Jr., A Recollection of My Grandparents and as Told by Those Who Also Knew Them (n.d.), online at http://www.rabgenealogy.com/ui41.htm (naming William Drummonds as his father). Mr. Drummond provided a copy of this typewritten work to Roger Bartlett. [S1214] Garrett B. Drummond, Jr., A Recollection of My Grandparents and as Told by Those Who Also Knew Them, above (naming Margaret Traylor as his mother). [S189] Navarro County Cemetery Records, vol. 9 (Corsicana, Tex. : The Navarro County Gen. Soc'y, 1989), p. 155 (giving the date but not the place). 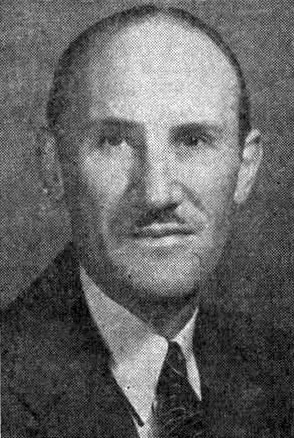 [S1207] Corsicana Daily Sun, Corsicana, Tex., online archive, above, 30 Jul 1942, p. 5, col. 5 (obituary of James E. Drummond). [S189] Navarro County Cemetery Records, vol. 9, above, p. 155 (not giving the date). [S1207] Corsicana Daily Sun, Corsicana, Tex., online archive, above, 30 Jul 1942, p. 5, cols. 5-6. [S1207] Corsicana Daily Sun, Corsicana, Tex., online archive, above, 30 Jul 1942, p. 5, col. 5 (obituary of James E. Drummond) (naming James E. Drummond as his father). [S961] Find A Grave, online at http://www.findagrave.com, memorial for Thomas Edward Drummond, memorial no. 21950806, viewed on 4 Oct 2015 (naming James Edward Drummond as his father). Col. Garrett Bartlett Drummond Sr.
Garrett B. Drummond, May 1941, courtesy of Garrett B. Drummond, Jr.
[S1207] Corsicana Daily Sun, Corsicana, Tex., online archive at http://corsicana.newspaperarchive.com, 30 Jul 1942, p. 5, col. 5 (obituary of James E. Drummond) (naming James E. Drummond as his father). [S956] National Gravesite Locator, online http://gravelocator.cem.va.gov, viewed on 19 Apr 2004 (not giving the date but stating that she was the wife of Lt. Col. Garrett Bartlett Drummond, U. S. Army. [S312] Social Security Death Index, online at http://tinyurl.com/AncestrySSDI, viewed on 4 Mar 1998 (stating that he died in Feb 1967; not naming the place of death but stating that he lived in Albuquerque, New Mexico when he died). [S446] Grave locator, National Cemetery, Santa Fe, New Mexico, (giving only the date). [S956] National Gravesite Locator, online http://gravelocator.cem.va.gov, viewed on 19 Apr 2004 (giving only the date). [S961] Find A Grave, online at http://www.findagrave.com, memorial for Garrett Bartlett Drummond, memorial no. 600821, viewed on 22 Oct 2017 (giving the date but not the place). [S446] Grave locator, National Cemetery, Santa Fe, New Mexico. [S121] Grave marker, sec. U, grave site 422, National Cemetery, Santa Fe, New Mexico (not giving the date). [S956] National Gravesite Locator, online http://gravelocator.cem.va.gov, viewed on 19 Apr 2004. [S961] Find A Grave, online, above, memorial for Garrett Bartlett Drummond, memorial no. 600821, viewed on 22 Oct 2017. [S779] "Nearly One Thousand Have Graduated from Corsicana High School Since 1884," Corsicana Daily Sun, Corsicana, Tex., 10 May 1923, as reprinted in Navarro Leaves & Branches, vol. XXV, no. III (Aug 2002), p. 5 (stating that he was a member of the 1917 senior class at Corsicana H.S.). [S956] National Gravesite Locator, online http://gravelocator.cem.va.gov, viewed on 19 Apr 2004 (giving 15 Apr 1899 as his birth date and stating that he served as a lieutenant colonel in the U.S. Army from 1 Apr 1941 to 31 Oct 1943). [S446] Grave locator, National Cemetery, Santa Fe, New Mexico, (giving 15 Apr 1899 as his birth date). [S961] Find A Grave, online, above, memorial for Garrett Bartlett Drummond, memorial no. 600821, viewed on 22 Oct 2017 (giving 15 Apr 1899 as his birth date). 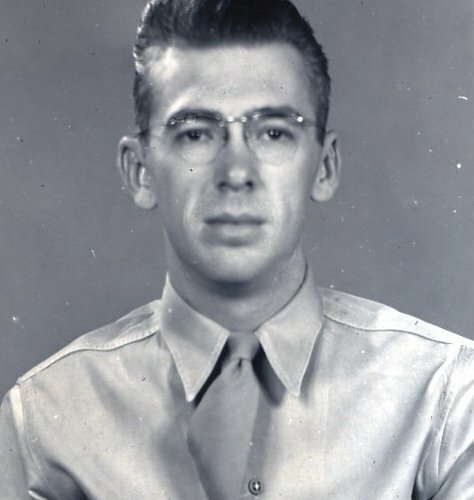 [S1436] Obituary of Garrett B. Drummond, online at http://tinyurl.com/yar9krzk, viewed on 28 Apr 2018 (naming Garrett B. Drummond, Sr. as his father). [S1269] Obituary of Maj. Gen. James Everman Drummond, on web site of the Montgomery Advertiser, Montgomery, Ala., at http://tinyurl.com/nwpky2y, viewed on 15 Aug 2013 (naming Garrett B. Drummond as his father). 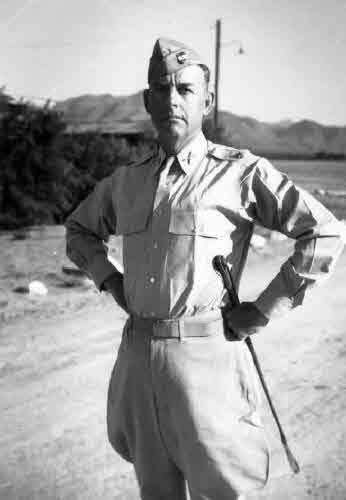 [S1270] Memorial article for Maj. Gen. James Everman Drummond, on web site of West Point Association of Graduates, at http://tinyurl.com/o6uq4ht, viewed on 15 Aug 2013 (naming Garrett Bartlet Drummond as his father). [S312] Social Security Death Index, online at http://tinyurl.com/AncestrySSDI, viewed on 20 Jul 2000 (giving only the date). [S961] Find A Grave, online at http://www.findagrave.com, memorial for Frances R. Drummond, memorial no. 600817, viewed on 22 Oct 2017 (giving the date but not the place). [S312] Social Security Death Index, online at http://tinyurl.com/AncestrySSDI, viewed on 20 Jul 2000 (stating that she died on 30 Jul 1998; not naming the place of death but stating that she lived in Albuquerque, N.Mex. when she died). [S428] Tom Ray, electronic mail to Roger Bartlett, 24 Aug 1998. [S961] Find A Grave, online, above, memorial for Frances R. Drummond, memorial no. 600817, viewed on 22 Oct 2017. [S1269] Obituary of Maj. Gen. James Everman Drummond, on web site of the Montgomery Advertiser, Montgomery, Ala., at http://tinyurl.com/nwpky2y, viewed on 15 Aug 2013 (giving her name as Frances Rigdon Drummond). [S428] Tom Ray, electronic mail to Roger Bartlett, 24 Aug 1998 (naming Frances Drummond as his mother). [S1436] Obituary of Garrett B. Drummond, online at http://tinyurl.com/yar9krzk, viewed on 28 Apr 2018 (naming Frances Rigdon Drummond as his mother). [S1269] Obituary of Maj. Gen. James Everman Drummond, online, above (naming Frances Rigdon as his mother). 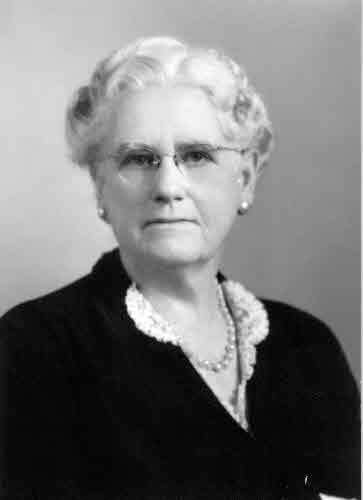 [S1270] Memorial article for Maj. Gen. James Everman Drummond, on web site of West Point Association of Graduates, at http://tinyurl.com/o6uq4ht, viewed on 15 Aug 2013 (naming Frances Rigdon Drummond as his mother). [S428] Tom Ray, electronic mail to Roger Bartlett, 24 Aug 1998 (naming Frances Drummond as her mother). Garrett Bartlett ('Gary') Drummond Jr.
Other Names*: Garrett Drummond, Gary Drummond. [S1436] Obituary of Garrett B. Drummond, above (naming Frances Rigdon Drummond as his mother). [S1436] Obituary of Garrett B. Drummond, above. [S1436] Obituary of Garrett B. Drummond, above (not giving the date). [S1256] California Death Index, online at http://tinyurl.com/om9mmen, record for Elizabeth Ann Drummond, viewed on 15 Aug 2013 (stating that her father's name was Hannefey). [S961] Find A Grave, online at http://www.findagrave.com, memorial for Thomas E. Hannefey, Jr., memorial no. 34680790, viewed on 16 Aug 2013 (attributing information to obituary in the Brookville Democrat, Brookville, Ind., 27 Jan 1972) (naming Thomas Hannefey, Jr. as her father). [S1256] California Death Index, online at http://tinyurl.com/om9mmen, record for Elizabeth Ann Drummond, viewed on 15 Aug 2013 (giving the date and the state but no other place information). 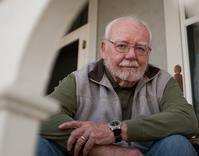 [S1436] Obituary of Garrett B. Drummond, online at http://tinyurl.com/yar9krzk, viewed on 28 Apr 2018 (not giving the date). [S1256] California Death Index, online at http://tinyurl.com/om9mmen, record for Elizabeth Ann Drummond, viewed on 15 Aug 2013. [S961] Find A Grave, online at http://www.findagrave.com, memorial for Thomas E. Hannefey, Jr., memorial no. 34680790, viewed on 16 Aug 2013 (attributing information to obituary in the Brookville Democrat, Brookville, Ind., 27 Jan 1972) (giving the date and county). [S961] Find A Grave, online, above, memorial for Thomas E. Hannefey, Jr., memorial no. 34680790, viewed on 16 Aug 2013 (attributing information to obituary in the Brookville Democrat, Brookville, Ind., 27 Jan 1972). [S961] Find A Grave, online, above, memorial for Thomas E. Hannefey, Jr., memorial no. 34680790, viewed on 16 Aug 2013 (attributing information to obituary in the Brookville Democrat, Brookville, Ind., 27 Jan 1972) (naming Thomas Hannefey, Jr. as her father). Birth*: He was born on 6 December 1952 in Albuquerque, Bernalillo County, New Mexico. Death*: He died on 16 January 1953 in Albuquerque, Bernalillo County, New Mexico. Maj. Gen. James Everman Drummond. 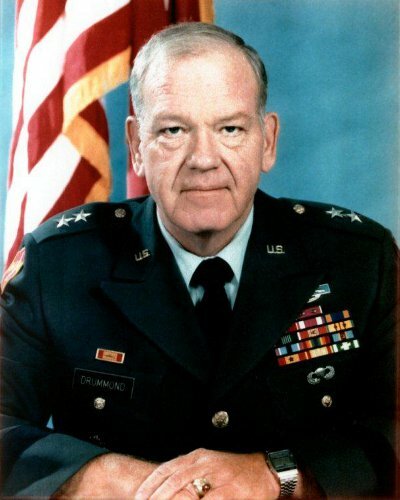 "Retired U. S. Army Major General James Everman Drummond, 80, died Monday, October 22,  at a local hospital. 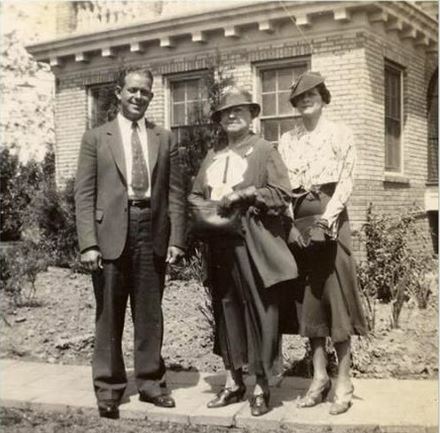 Born in Stillwater, Oklahoma to Garrett B. and Frances Rigdon Drummond, he graduated from Albuquerque High School and attended the University of New Mexico for one year on a freshman football scholarship before entering the U. S. Military Academy at West Point. While there, he played on the offensive line for a young assistant coach, Vince Lombardi. He graduated in the Class of 1955." [S1270] Memorial article for Maj. Gen. James Everman Drummond, online, above (naming Frances Rigdon Drummond as his mother). [S1269] Obituary of Maj. Gen. James Everman Drummond, online, above (naming the place but not the date). [S1270] Memorial article for Maj. Gen. James Everman Drummond, online, above (naming the place but not the date). [S428] Tom Ray, electronic mail to Roger Bartlett, 24 Aug 1998 (not giving the date). [S1270] Memorial article for Maj. Gen. James Everman Drummond, online, above. [S1269] Obituary of Maj. Gen. James Everman Drummond, online, above. [S1269] Obituary of Maj. Gen. James Everman Drummond, online, above (mentioning his nickname of "General Jim"). [S1269] Obituary of Maj. Gen. James Everman Drummond, online, above (partially reprinted here with consent of the Montgomery Advertiser). [S312] Social Security Death Index, online at http://tinyurl.com/AncestrySSDI, record for Helen H. Drummond, viewed on 15 Aug 2013. [S1270] Memorial article for Maj. Gen. James Everman Drummond, on web site of West Point Association of Graduates, at http://tinyurl.com/o6uq4ht, viewed on 15 Aug 2013. [S312] Social Security Death Index, online at http://tinyurl.com/AncestrySSDI, record for Helen H. Drummond, viewed on 15 Aug 2013 ((not naming the place of death but stating that she lived in Hampton, Va. when she died). [S1270] Memorial article for Maj. Gen. James Everman Drummond, online, above (stating that she died in 2001). [S312] Social Security Death Index, online at http://tinyurl.com/AncestrySSDI, record for Elizabeth D. Ray, viewed on 15 Aug 2013 (giving the date but not the place). [S961] Find A Grave, online at http://www.findagrave.com, memorial for Mrs. Elizabeth Birney Drummond Ray, memorial no. 44558563, viewed on 15 Aug 2013 (giving the date but not the place). [S312] Social Security Death Index, online at http://tinyurl.com/AncestrySSDI, record for Elizabeth D. Ray, viewed on 15 Aug 2013 (not naming the place of death but stating that she lived in San Antonio, Tex. when she died)). [S961] Find A Grave, online, above, memorial for Mrs. Elizabeth Birney Drummond Ray, memorial no. 44558563, viewed on 15 Aug 2013. [S1269] Obituary of Maj. Gen. James Everman Drummond, on web site of the Montgomery Advertiser, Montgomery, Ala., at http://tinyurl.com/nwpky2y, viewed on 15 Aug 2013 (giving her name as Elizabeth Drummond Ray). [S428] Tom Ray, electronic mail to Roger Bartlett, 24 Aug 1998 (giving her name as Mary Bartlett Ray).